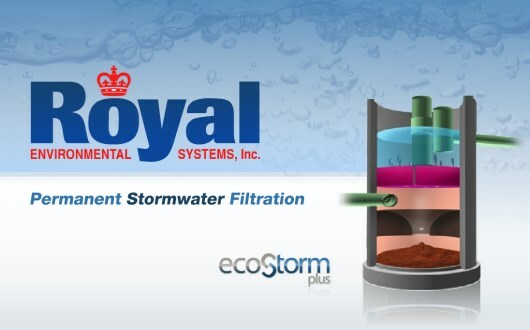 The EcoStorm Plus is a stormwater treatment system that utilizes both gravity separation and upflow adsorptive filtration. A cyclonic separator and porous concrete filter remove pollutants through sedimentation, adsorption, and chemical precipitation. The unit is equipped with a maintenance pipe allowing access to the sediment storage chamber. This pipe can also serve as an emergency overflow in heavy rainfall events when design treatment flows have been exceeded. The EcoStorm Plus is effective at removing Total Suspended Solids, Heavy Metals, Dissolved Nutrients, and other pollutants. Watch our video to learn more about how the EcoStorm Plus system works to treat stormwater in urban applications.